Manuel is a 47 year old Native American. His heritage is 1/2 Northern Cheyenne, 1/4 Lakota and 1/4 Arapaho. He was born December 5th, 1967 on the Northern Cheyenne Reservation where he also grew up. He was incarcerated in 1998 at Montana State Prison for having fatally shot a recidivist child molester who was after a very young boy (the little boy was a nephew of Manuel's). The victim's (the child molester's) own family members made statements against him (the child molester) because of past assaults he (again the child molester) made on them. 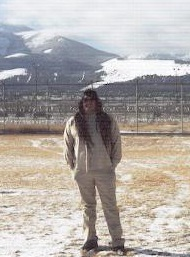 Manuel spent several years in solitary confinement in the Maximum Security Unit of Montana State Prison, the harshest area in the prison. He was locked up without due process and isolated 23 hours a day for years, despite the fact that he had one of the best records in this prison. 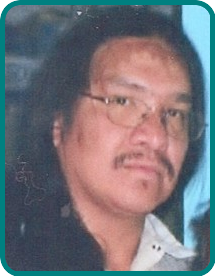 Like many Native American prisoners, he was the victim of racial profiling and at some point he was even incarcerated on death row, even though he does not have a death sentence or even a life sentence. After a long struggle, Manuel was released from isolation in September 2002 and transferred to the High Side, where he maintained his excellent record. He was later transferred from Montana State Prison to Shelby, MT. Manuel did not let the prison walls prevent him from helping the People on his reservation. With the support of friends and family, he did his utmost to have help sent to many children, elders, and families in need. His struggle for the religious rights of Native American prisoners resulted in a definite improvement of the prison policies in Montana. In October 2010 he finally got the good news: he was eligible for Pre-Release. The pre-release period went extremely well for Manuel until October 2011. 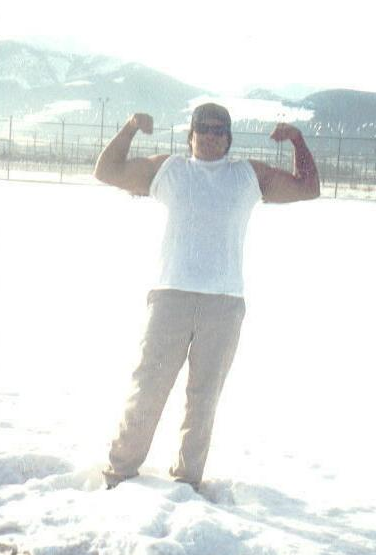 The Montana Board of Pardons and Paroles was more than two months overdue in granting Manuel parole. Manuel, who suffers from PTSD and Hyper-Vigilance Disorder (who wouldn't under similar circumstances) was having a terrible time with the Pre-Release Center properly administering his medications. On October 11th, 2011, another inmate at the pre-release center borrowed a cell phone from Manuel's room while Manuel was at work, was caught, and reported the cell phone as Manuel's. The cell phone was a minor infraction that would have resulted in nothing more than a simple write-up. However, driven by his PTSD and HVD, in an uncontrolled panic, Manuel believed that the prison system was trying to find an excuse to send him back inside, so after work that night, he hitched a ride from Missoula to Butte to stay with a friend. Three days later, Manuel was taken into custody without incident. While away from the Pre-Release Center, Manuel stayed completely out of trouble. The prosecutor wanted to charge Manuel with Escape and as a Repeat Offender, which would have put him behind bars for the rest of his life. With the help of friends, Manuel retained the services of an attorney in Missoula who was able to convince the prosecutor that Manuel did not deserve such a sentence. Thank goodness for intelligent and reasonable people! The charges were reduced to simple Escape and the sentence plea bargained to 30 months, making him eligible for parole in April 2013. However, the Montana Board of Parole and pardons, as they often do to Natives, decided they did not like the sentence agreed to by the prosecutor and the judge, and without any hearing at all, changed the sentence. They told me that Manuel had no recourse to challenge their sentence and he would not be eligible for parole until 2016. We are now attempting to raie funds to challenge the sentence of the Montana Board of Parole and Pardons and secure his immediate release. Toward this goal, we are seeking donations for his legal defense. If you are able to make such donations, please go to Manuel's donateion page by clicking on the menu link above. Please read more about Manuel, about his art and crafts, some of his writings, and his contact information. This is a very difficult time for Manuel and it would mean a lot to him to get mail, and make a few new friends.